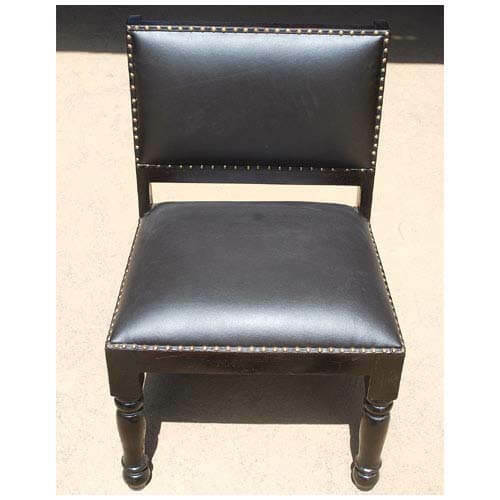 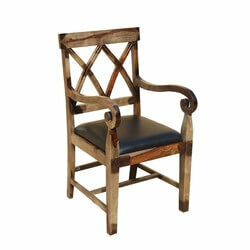 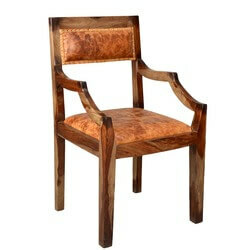 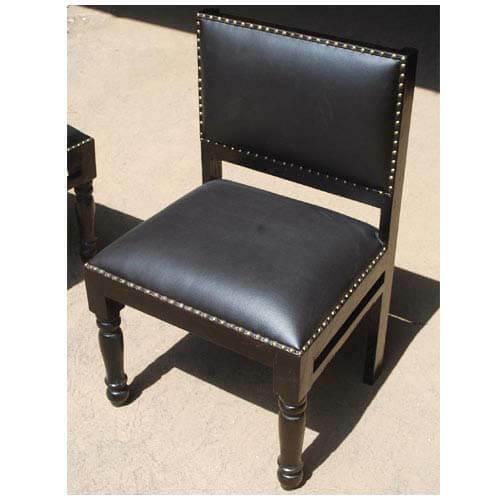 Solid Hardwood Classic Chair with Leather Cushioning on seat and back. 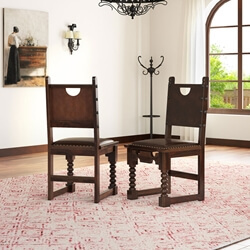 This is a great chair for just about any space in any room. 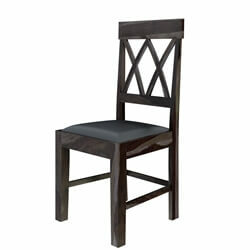 The simple solid design of this chair is well balanced and will blend easily with any room setting. 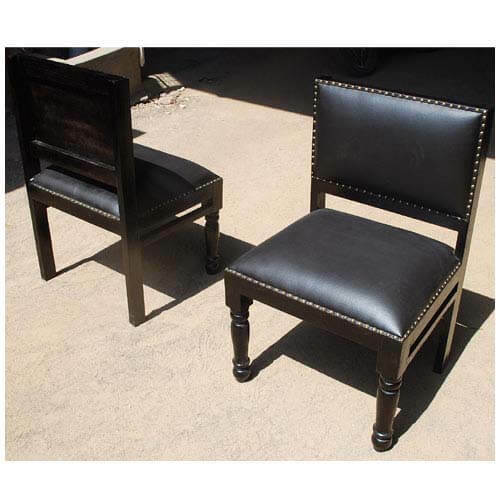 Completely handmade from Solid Wood that has been properly treated and seasoned followed by a hand polishing process with a self-prepared stain to maintain the true beauty of the wood. 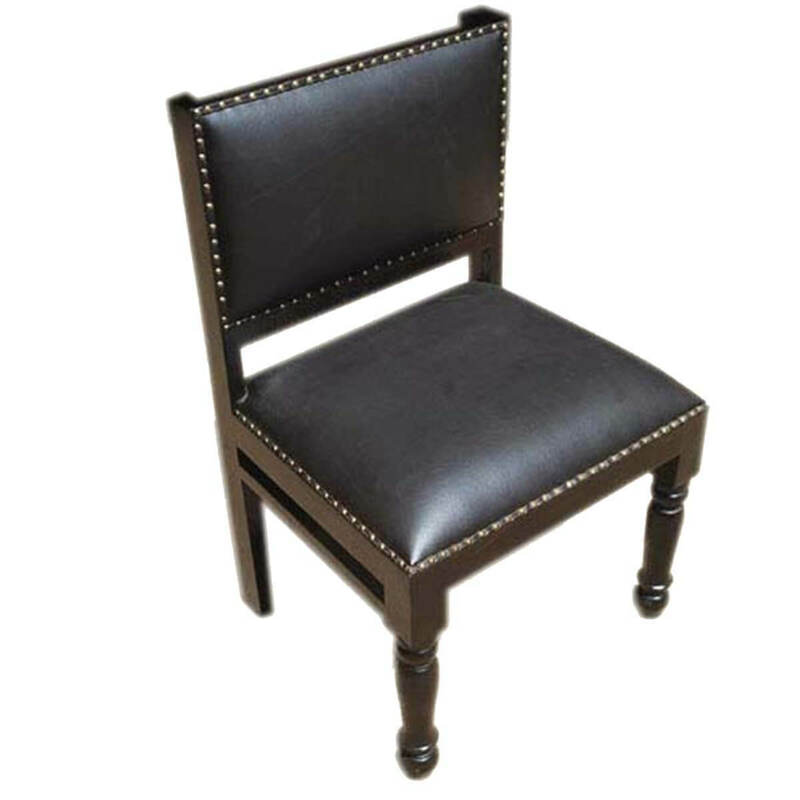 The classic beauty of this chair has timeless appeal and endless beauty.